Top 5 World Cup stars from 2014: Guillerma Ochoa (Mexico), Joel Campbell (Costa Rica), Enner Valencia (Ecuador), James Rodríguez (Colombia), Lionel Messi (Argentina). As 2014 year is nearing its end, here are the top five World Cup stars from 2014. No player has been listed from the World Cup winning side Germany. One of the best goalkeeper of the World Cup was Ochoa without a doubt. His performances not only attracted average teams, Barcelona and Liverpool were also linked with him in the summer. The Mexican stopper joined Spanish side Malaga after leaving French side Ajaccio. The 29-year-old is yet to make a La Liga debut since his summer move. Arguably one of the best youngsters of the World Cup who performed exceptional for his country. However, his side Arsenal are still not trusting in his abilities but boss Arsene Wenger has said that he will be a future Arsenal star. West Ham United signed Ecuador star Enner Valencia for £12million after his impressive displays at the World Cup. The striker scored twice in Brazil. Valencia has been a good signing for West Ham. His partnership with Diafra Sakho is one of the best success stories in the Premier League. Currently, Andy Carroll has taken his place after impressive displays. Rodriguez not only won the World Cup Golden boot, he also won the hearts of the fans with his exceptional goals that took Colombia to the quarter finals where they lost against the host Brazil. His long range goal against Uruguay won the best goal award. His performances caught the eye of Real Madrid boss Carlo Ancelotti who signed him for a big fee around £60million him in the summer. 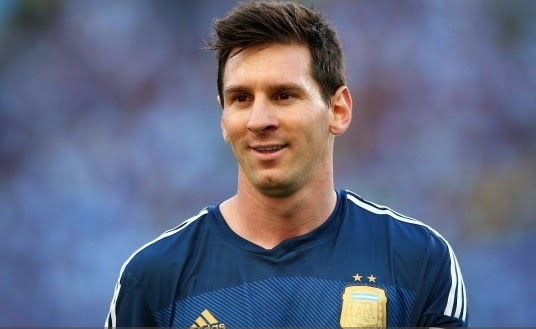 Lionel Messi failed to top the best Argentinians list of 2014 but managed to top the World Cup star list. After standing second with Barcelona in La Liga and Copa del Rey. The four time Ballon d’Or winner gave all to his country by scoring four vital goals and taking them to the World Cup final but still he won a runner-up medal. good list and should have added neuer.